The world of the diver's wristwatch is a national pride that a few brands are competing for, each inventing for its wristwatch a case, bezel and crown system that allows private divers or the French Navy to try a new adventure on the bottom of the water, the product of decades of innovation in diving watches, for combat and underwater photography. 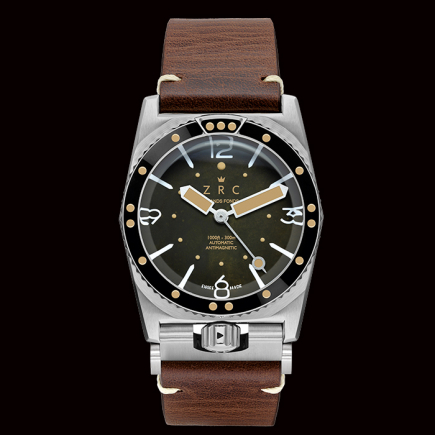 ZRC wristwatches are part of this great history of diving watches. With a solid steel case, a firmly attached bracelet, a unidirectional bezel, a large diameter perfectly readable underwater by divers and a crown protected by an ingenious system inherent in the case, the ZRC diver's watch has acquired its reputation. 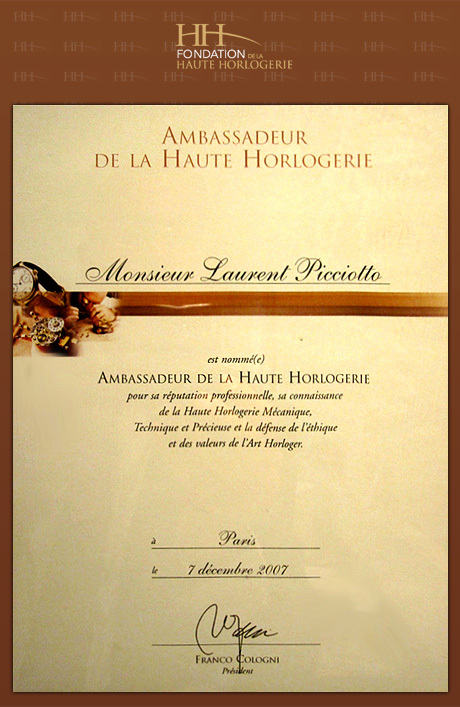 The brand was created in 1904, at a time when the French Navy itself ordered diving wristwatches with rigorous specifications - each wristwatch was free to adopt the system of bezel, crown, bracelets and steel case that would enable it to respond to these national calls for tenders. At that time, large companies like TAG Heuer or Bell & Ross did not exist. 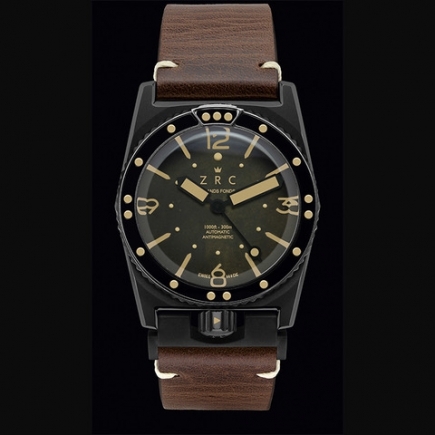 ZRC wristwatches are pioneers in the field of diving wristwatches. 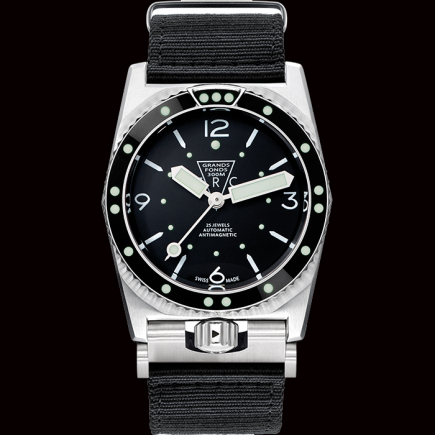 At the time of the national glory of the diver's watch, reserved for an elite group of divers, the concept of the technical watch and at the same time sport chic did not exist. It will be necessary to wait for the advent of these brands of the new wave such as TAG Heuer and Bell & Ross to combine sport chic watches and technical diving watches. If the divers of the time of this national epic found with the ZRC diving wristwatches an indispensable tool for their work, including photos, it is above all thanks to a real research carried out by ZRC on the essential attributes of the diver's watch. First there is the movement, the basic ETA movement. Then there are the bracelets, which should be able to pass over the diving suits. This meant a large size bracelet but also a very resistant bracelet, capable of responding to each new evolution in equipment for divers of the French Navy or other forces or underwater and deep-sea photo divers. Then there is the case. This steel case of the ZRC watches protected the movement from water thanks to a new 300-metre waterproofing, which had not yet been tested at the time. This steel box was topped by a bezel that indicated to divers of the French Navy or amateurs of deep-sea photography, for each new dive, their immersion time in the water, always visible over their suit. This principle of measuring diving time, visible through the sapphire crystal, has been taken up by brands such as Bell & Ross, TAG Heuer, and even by brands that ZRC has inspired in the sport chic register, such as Baume & Mercier. 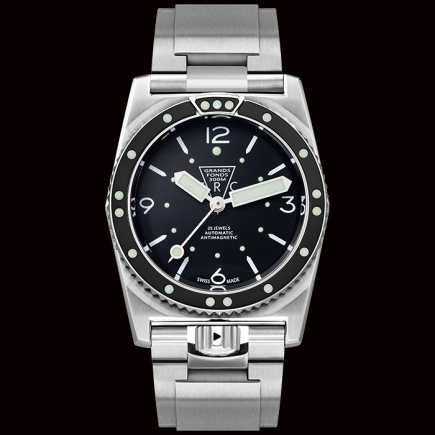 This bezel is distinguished by the three points it contains at noon, allowing it to be perfectly read by divers underwater. It has become a distinctive feature of the ZRC wristwatch, as has the crown at 6 o'clock. This crown is thus protected from improper handling by divers underwater, being at 6 o'clock so there is no risk of being activated by a false wrist movement on the suit. This new steel case construction system allowed the watch, bracelet, bezel and crown to be perfectly integrated, ready for water, divers and Navy missions. 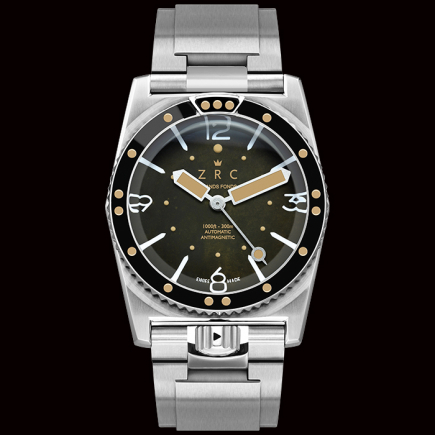 ZRC continues to use this system in its ZRC Marine Nationale, ZRC Sport Chic, ZRC 1964 and some special editions of wristwatches. 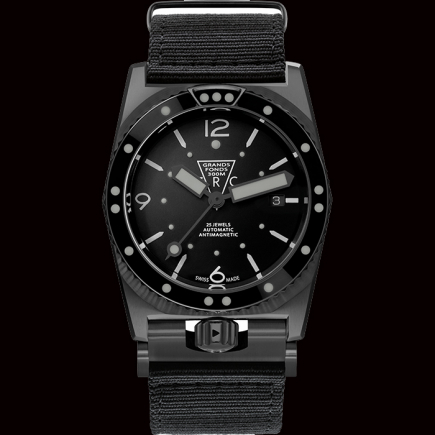 Each ZRC reissue benefits from a sapphire crystal and the lessons learned from the missions of the French Navy, demining divers, each having produced an experience specific to their mission which then allowed ZRC to adapt its steel case system, its diameter, its bracelets, its crown, its bezel, on each model it still produces today.